Here at AthenStyle, we like to celebrate Easter the AthenStyle way, so we have started getting ready! Below some interesting info about the Easter symbols in Greece for your reading. 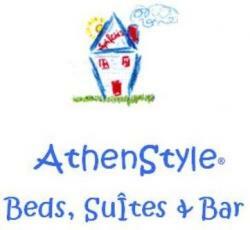 If you would like to have an idea of what it will be like to celebrate with us Easter day, check out our pics of last year on https://athenstyle.wordpress.com/2010/04/05/easter-celebration/ and https://athenstyle.wordpress.com/2010/04/05/traditional-greek-lunch-on-sunday-april-4th/. On Sunday 24th April we will be celebrating on the terrace the traditional Greek Easter Lunch. We will start roasting the whole lamb early in the morning. The lamb will be not ready before 3pm, because it needs many hours to become crispy, tender and tasty. In the meanwhile we will have time to enjoy the view, chat, drink ouzo and dance! Before eating the lamb we’ll have different appetizers (mezedes), like grilled sausages, salads, cheese and olives. We will also experience the Easter coloured eggs following tradition (and eat them)! All the guests staying with us on Easter are more than welcome, please email us on info@athenstyle.com to confirm – 10 euros.